4. For a new person the site may seem chaotic. The site is said to be self-referential because a particular comment or post may refer to some other past event on the site itself. 5. Reddit does’t allow image posting. A user has to use third party image hosting sites like imgur. 7. Unlike other sites, you don’t need an email account to open a Reddit account. You simply need a username and password. 8. Like every other site, Reddit also had to start from zero. It is really hard to imagine seeing the site’s popularity in today’s time. But in the beginning creators made a number of fake accounts to seed up the site. 10. 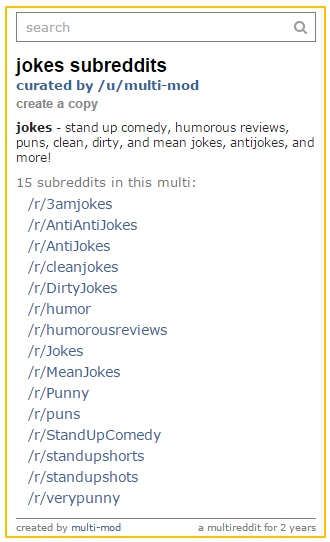 Reddit content are categorized into categories known as subreddits. Any registered user can create a subreddit. Subreddits are owned and by run by independent moderators and they have their own rules on how the community works. Moderators are not employees of Reddit. To find which subreddit you are subscribed to, you can visit list of subreddits. You can also browse through the most popular subreddits on this page. 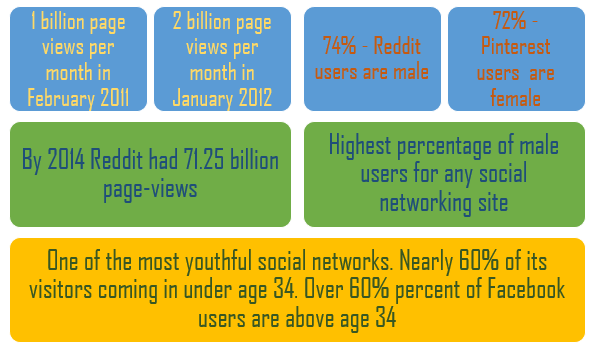 To explore some niche and interesting subreddit, visit the blog post regarding some of the smaller subreddit. 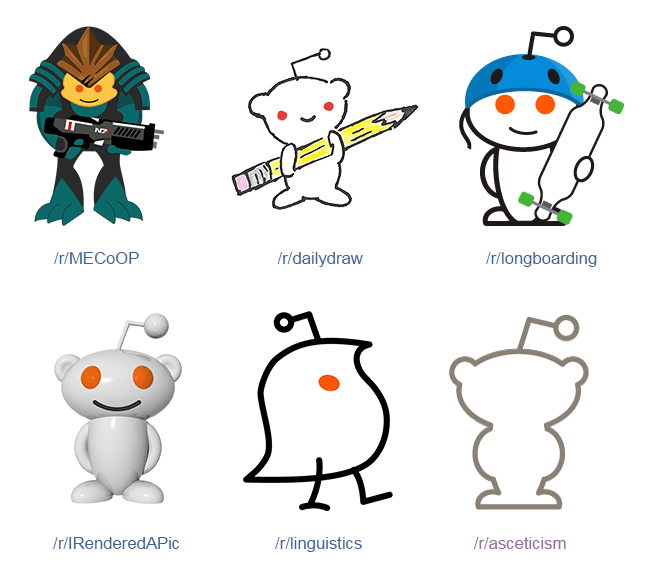 There are many other options available for discovering new subreddits, including the explore page, /r/random(takes you to a random active subreddit), or even through various subreddits that exist solely for the purpose of finding *other* subreddits, like /r/findareddit. Subreddit r/catsstandingup only allows pictures of Cats. Any other post is deleted. The comment also allows only the word Cat. Rules about a subreddit along with the name of the moderators are usually located on the right side bar of the subreddit page. There are also many subreddits that can help you with getting more involved with the site. If you have a question about something on Reddit you can post it to /r/help, or if you have a suggestion for something to implement on the site you can submit it to /r/ideasfortheadmins. If you find a bug we’d definitely appreciate it if you posted about it to /r/bugs, or if you like to keep up with updates made to the site we generally post information about them to /r/changelog. You can contact the moderator of a particular subreddit by clicking the “message the moderators” link in the sidebar. You can get your queries answered or clarify regarding rules of the community. Reddit site-wide rules overrules the subreddits rules and Admin are entrusted with the responsibility of enforcing those rules. Moderator can also make changes to the CSS of the page and entirely change the look of the subreddit. A moderator of a subreddit will be identified by a [M] sign next to the name. 11. Reddit has feature called Multireddits – customizable groups of subreddits where you can group different subreddits. 12. One of the basic principle of Reddit is “It’s perfectly fine to be a redditor with a website, it’s not okay to be a website with a Reddit account.” In simple terms it means no spamming. 13. Reddit does not allow posting of personal information. 14. 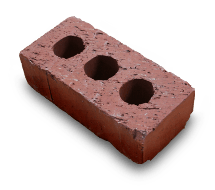 Keeping in line with its cool image, every rules page at Reddit is accompanied by an image of a brick. That literally means that the rules are inscribed on a brick and hence to be taken seriously. 17. If you post a humorous or high quality content, then you may be gifted “Reddit Gold” by another user. The process is known as gilding. 18. If you are user of the site, then each year the day on which you created your account will be observed as ‘Cake Day’. An image representing a slice of cake will appear next to your name for 24 hours. 19. Redditors take their commitment to the site very seriously. It is one of the sites that has led to offline socializing at local parks and bars around the world. Numerous subreddits exists solely for the purpose of local meetings. One of the most popular subreddit on the site is IAmA (I Am A), where user posts AMAs (Ask me Anything). Some of the most notable AMA sessions have included US President Barrack Obama, Madonna, Dave Grohl, Bill Gates, Stephen Colbert, Psy, Arnold Schwarzenegger, Louis C.K., Roger Federer, Larry King, Stan Lee, John Mather, David Copperfield, Paul Krugman, Danny Boyle, Al Gore, Roger Ebert, Michael Bolton, Gary Johnson, Lawrence Krauss, Jill Stein, Kevin Rudd, Gordon Ramsay, and Peter Dinklage among many others. The increased traffic due to Barack Obama IAmA shut down much of the site. 22. Reddit uses Amazon Web services as its server. 24. A number of links are shared across Reddit every day. If a relatively smaller website experience a high inflow of traffic due to Reddit, it is known as Slashdot effect. Among the Reddit users it is also known as “Reddit Hug of Death”. Sometimes it has led to the crashing of a smaller site due to huge influx of traffic. In 2007, Reddit users voted the name Mr. Splashy Pants to a killer whale that Greenpeace was tracking. In 2010, one Redditor Matt asked other users to donate to the American Cancer Society and he provided his own example on how he donated his kidney. The response was initially positive, subsequently other redditors became suspicious that Matt is keeping the donations for himself. The tide turned and Matt started receiving death threats. The matter was resolved when he uploaded his doctor’s record. In another instance of 2011, an IT manager posted on the subreddit “gameswap”, an offer to trade one of 312 codes he had been given for the game Deus Ex: Human Revolution. A group of users obtained his personal details, and began to blackmail him for the codes. The Monday after uploading the post, he received 138 threatening phone calls both at home and at his job, and by the end of the day he had been fired. Following the firing of Victoria Taylor – an administrator who helped organize citizen-led interviews with famous people on the popular “AmA” subreddit – many moderators set popular subreddit communities to private mode in protest. This led Reddit to experience a series of blackouts. The event was dubbes as “AMAgeddon”. 28. If you are site owner and want to find if your site has any links on Reddit or not, simply follow https://www.reddit.com/domain/merabheja.com. Replace ‘merabheja.com’ with the name of your site.